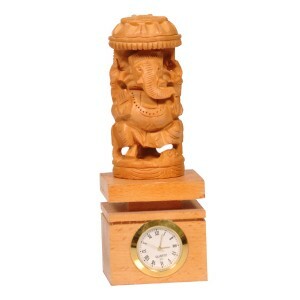 This wooden Ganesha statue is one of our wooden handicraft items. Wooden Ganesha statue is made by white wood and sandal wood. This white wooden Ganesha statue is available with finest quality finishing.